If you’ve never heard the angelic sounds of The Sweet Water Warblers, do yourself a favor and go have a listen on YouTube or something right now. Then come back and read this. I’ll wait. The Warbs, as I affectionately call them, are my favorite all-lady band. Comprised of Rachael Davis, Lindsay Lou and May Erlewine, they will seriously make a hardened inmate cry tears for their mother. Anyway, my obsession aside, I was so thrilled when they asked me to illustrate an album cover for them. I immediately thought about sirens, and mythology. I got to make them mermaids and I can’t even not be excited about it. I illustrated them - two with long hair and a short haired mermaid - with a little bird - the warbler - swimming towards the sunlight. 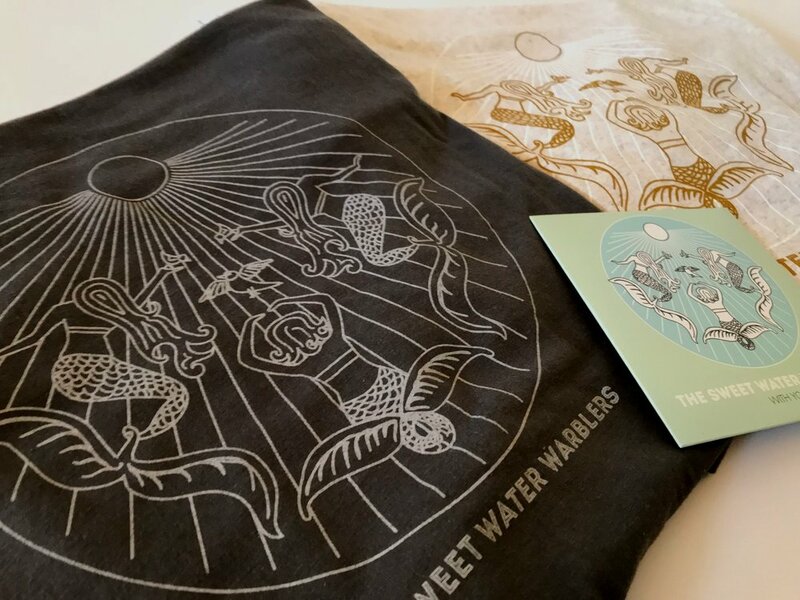 They made additional merch out of the illustration, and we ended up making a website to promote their booking and first EP.